When and where Richard Gutierrez was born? 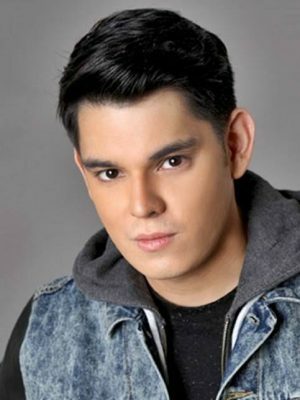 Richard Kristian Rama Gutiérrez (born January 21, 1984), popularly known as Richard Gutierrez, is an American-born Filipino actor and model. He is one of the sons of actor Eddie Gutierrez. Richard Gutierrez was born on January 21, 1984 in Beverly Hills, California, United States with his twin brother, Raymond Gutierrez to actor Eddie Gutierrez and Annabelle Rama. He also has a sister, named Ruffa Gutierrez. Gutierrez began acting as a child with his twin brother. He has worked in many movies with his father and his brothers. He appeared on the GMA-7 show Click and primetime series Habang Kapiling Ka with Angelika dela Cruz. He starred in the TV fantasy series Mulawin which aired from August 2, 2004 until March 18, 2005, where he played the lead character Aguiluz. The series led to a feature-length film of the same name (Mulawin: The Movie). Since then he has played lead roles in other GMA-7 shows including Sugo, Kamandag, Codename: Asero, Zorro, Lupin, Full House and Captain Barbell. Gutierrez signed a non-exclusivity contract with Viva Artists Agency in 2008, wherein he worked in a movie Patient X and where his ex-girlfriend Anne Curtis is a talent; in 2015, he, his twin brother Raymond and sister Ruffa signed an exclusivity contract with Viva Artists Agency. How tall and how much weigh Richard Gutierrez?